Home Page | Foot care | Suffering from severe heel pain and can’t walk properly? 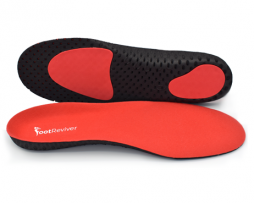 Suffering from severe heel pain and can’t walk properly? Heel pain is a big nuisance and it can interrupt and make day to day activity difficult. It can be even more troublesome when your job demands that you stay on your feet for long periods of time for example working in retail on the shop floor. What you need is instant pain relief so you can get on with your life. Heel pain symptoms can be appearing as either a dull ache at the heels bottom or a sharp stabbing pain, the pain can be localized anywhere on the heel from the back to the front. Heel pain is a main cause of people seeking professional podiatrist help. Heel pain is a common symptom of a condition known as plantar fasciitis or plantar fasciosis. The plantar fascia is a tendon that wraps itself under the heel and links it to the toes. The plantar fascia provides the support around the arch of the foot that allows the foot to push off from the ground. Sometimes severe trauma to the area caused by a blow may result in this kind of pain but plantar fasciitis is more commonly occurring due to overuse. Overuse of the plantar fascia will result in aggravation of the condition and a deterioration accompanied by inflammation in the area. Weight gain increases pressure on the plantar fascia resulting in its overuse, also heavy exercise such as marathon training can lead to overuse resulting in heel pain. If the underlining causes of your plantar fasciitis are not treated properly your symptoms will slowly worsen as the plantar fasacia ligament degenerates more. In some instances the degeneration of the plantar fascia ligament may become so severe that the ligament can rupture and become detached resulting in chronic symptoms and making it near impossible to walk properly. To avoid plantar fasciitis we should not overload the plantar fascia. It is recommended that as we get older we only increase exercise intensity gently in order to reduce the likelihood of injury such as plantar fasciitis. The heel pain is a way the body has of preserving the plantar fascia by telling you to slow down and give it rest. Luckily we can give the plantar fascia the rest it requires whilst living a full and active life. 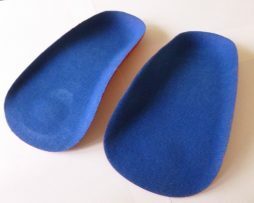 Check out our Heel pads for plantar fasciitis! 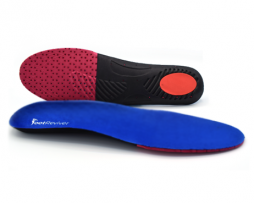 Cushion heel pads take on the role of the plantar fascia providing cushioning and support. 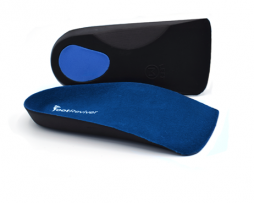 In effect it shares the burden of walking around and so allows the plantar fascia to recuperate and reduces inflammation and pain in the heel. NuovaHealth source the best products for plantar fasciitis such as heel cushion pads and soothing gel heel cups as well as arch support insoles. All products are guaranteed to reduce your pain or you get your money back, that is how confident we are in what we sell. 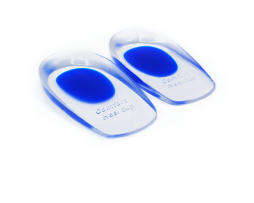 Here at NuovaHealth we have a wide selection of Heel cups and heel pads to help soothe your heel and foot pain once and for all! If you have any question about any of our orthotic devices please don’t hesitate to get in touch with us. You can get in touch with us using the comment form below or through our contact page as we are more than happy to help. 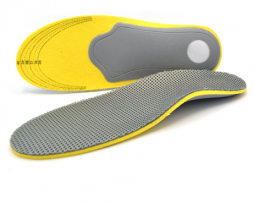 Best insoles with heel support technology to get you walking again!